Taxes on real estate and tangible personal property are levied by the City of Cochran, Bleckley County, and the Bleckley County School District. The taxes are collected by the county. The tax rates are set annually, but do not significantly change from year to year. All properties are assessed at 40% of fair market value. The effective tax rate represents total tax as a percentage of fair market value. The Cochran-Bleckley IDA is also part of the Ocmulgee Regional Joint Development Authority which consists of the following counties in Middle Georgia: Bleckley, Dodge, Telfair and Wilcox. Click here for more information on other available state tax credits for investment, retraining, ports, etc. For information about local incentives, please contact the Cochran-Bleckley Industrial Development Authority at 478-934-2965. Bleckley County industries enjoy Georgia’s low corporate tax rate of 6 percent; the single factor apportionment formula applies the corporate tax rate only to gross receipts or sales in Georgia, significantly reducing the tax rate of Georgia companies with substantial sales to customers outside of Georgia. 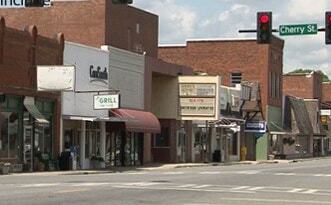 Sales tax in Bleckley County is 8%: 4% state, 4% local.